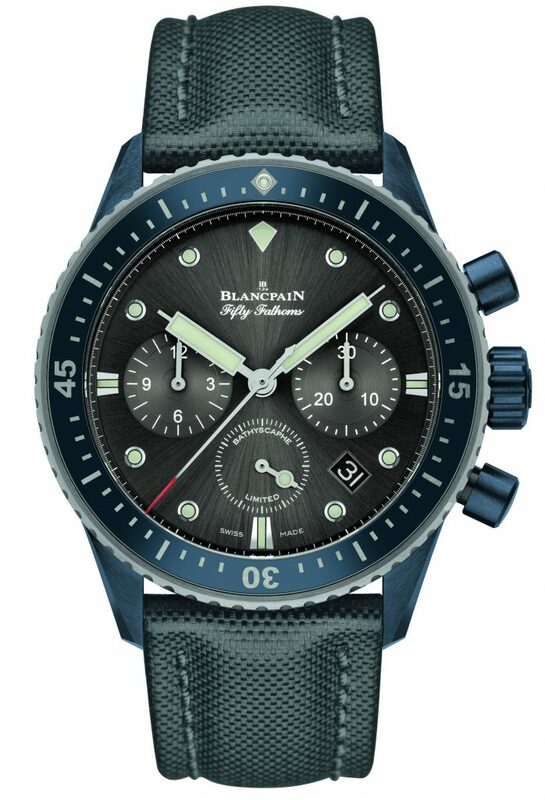 Blancpain has been an avid supporter of deep sea efforts since 1953 when it crafted Fifty Fathoms watch – its first modern diving watch. The development of Fifty Fathoms eventually evolved into a distinctive and extensive diver’s watch collection which included the creation of the X Fathoms Diver’s watch. 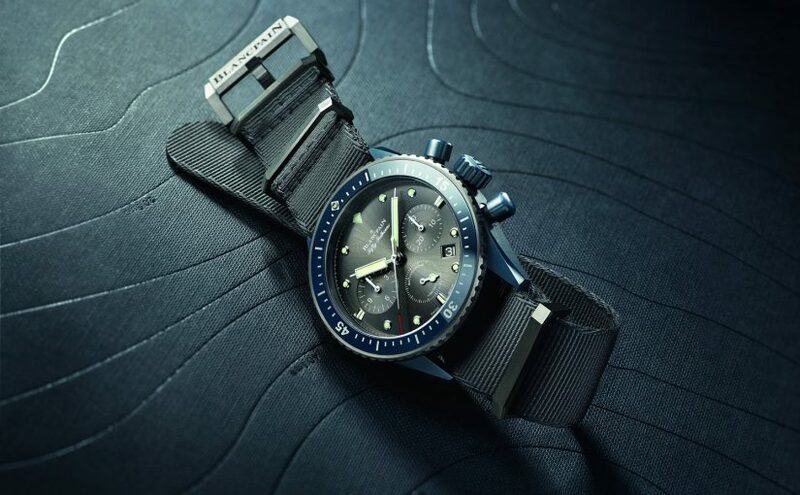 X Fathoms quickly gained Blancpain brand notoriety when it launched the watch’s introduction at the world’s largest aquarium, Dubai Aquarium & Underwater Zoo in the Dubai Mall October 2011. 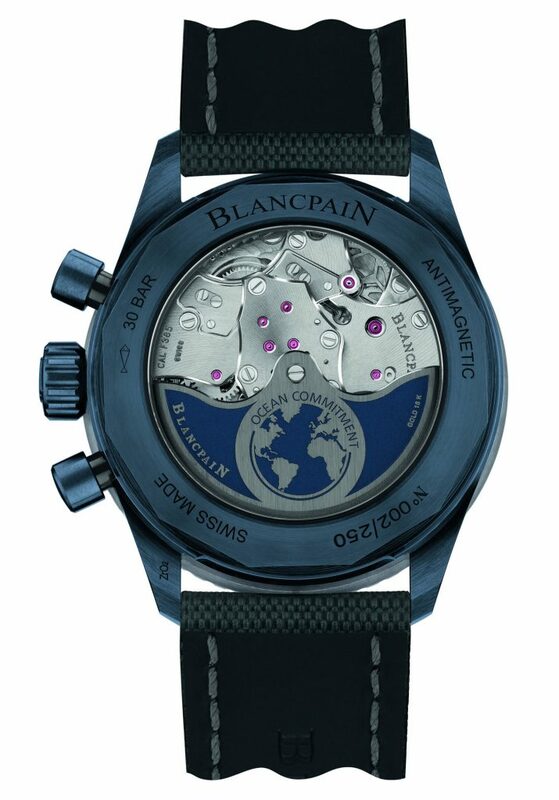 Blancpains diving watch developments allowed the brand to garner relationships with various conservationists and science researchers that it lead to their active support and involvement in notable sea expeditions and scientific sea research projects including the “Pristine Sea Expeditions with Blancpain” a conservation project for National Geographic; and just last year the Gombessa Project in South Africa. The Gombessa Project, a 40 day deep water expedition that studied and researched the habitat of the Gombessa (aka coelacanth) fish, once presumed extinct 70 million years ago. The Gombessa draws distinction in the sea world as it is said to be linked with both fish and land dwelling animals because of its paired lobe fins which extend along its body which bear a likeness to legs, as well as its primitive non-functional fatty lung. 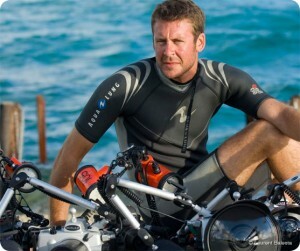 Diver and naturalist Laurent Ballesta, donned Blancpain’s Fifty Fathoms X Fathoms watch, and his team of divers were tasked with visually documenting and capturing this enigmatic fish on film for the deep sea project. Using evolved research methods, Ballesta and his team divers plunged into the depths of the Jesser Canyon Caves, as far as 120 meters below surface, to locate and shoot (photograph) Gombessa. A depth that is by no means a challenge for the X Fathoms as it is capable of withstanding water up to 300 meters. X Fathoms (Model 5018-1230-64A) has a powerful 55.65mm satin brushed titanium case which is accentuated by a one-way rotating bezel and a retrograde 5-minute counter. The black matte dial showcases depth indication on two scales. Features include a mechanical depth gauge, decompression valve, maximum depth memory with secured reset pusher. It houses the 9918B caliber self-wind movement, which is based on Blancpain’s caliber 1315. X Fathoms is adorned with a rubber strap having 14 articulated parts that ensures a secure tailored fit. X Fathoms is by far Blancpains most high-performance mechanical diver’s watch that it has ever manufactured of its Fifty Fathoms Collection. It may be difficult to resist this watch, as it will lull you into its deep hypnotic trance. Blancpain has captured the very essence of feminine elegance in contemporary-modern Women’s Chronograph Large Date watch which will be introduced at BaselWorld 2013 Exihibition. Every sculpted detail and contoured presentation of Women’s Chronograph Large Date (Model 3626-2954-58A) is an orchestration of pure elegance. Women’s Chronograph LD exemplifies Blancpain’s technical mastery to seamlessly incorporate horological complications with amazing haute jewelry design. Blancpain Manufacture team designed Women’s Chronograph LD with a white mother-of-pearl dial to showcase a nautilus shell articulation, which is carefully caressed in the upper segment of the watch dial. Nestled within the nautilus shell articulation is a smaller intricate dial at 12 o’clock that exhibits hours in Roman numerals. The segmented dial is partitioned by a red gold “wave-shaped” celebration of brilliant-cut set diamonds, 17 diamonds varying in size is set in each side of the wave, an elegant embellishment that marries well against the white mother-of-pearl dial. The lower segment of Women’s Chronograph LD presents in a daring contrast of contemporary-modern design. The center of the wave-shaped brilliant-cut diamond partition hold the delicate second hand which sweeps over dual chronograph counters displaying both small and large black Arabic numbers with petite chrono-indicators in 18ct red gold. Positioned at 6 o’clock are dual half-moon apertures that reveal large double-date discs all of which is protected under a sapphire crystal; and these are merely the amazing dial features of Blancpain’s Women’s Chronograph LD’s which is also complemented by an 18ct red gold case and diamond-set embellished bezel. Women’s Chronograph Large Date has a round 38.6 mm diameter case crafted in 18ct red gold which is complemented by a bezel encrusted with a single row of 40 brilliant-cut diamonds. The case exhibits an elaborate crown set with a diamond with two finely contoured red gold pushers on each side of the crown. The exhibition case-back reveals an engraved petal-shaped oscillating weight and sapphire crystal which reveals Blancpain’s in-house mechanical self-winding movement – Calibre 26F8G, consisting of 495 parts. Women’s Chronograph LD has a power-reserve of 40 hours and is water resistant up to 30 meters. The elegant appeal of the case is completed by a white ostrich leather strap and includes an additional strap in a different color and material. Blancpain has also manufactured a white gold and steel version (Model 3626-1954L-58B) of this incredible watch. Blancpain painstaking technical mastery and watchmaking craftsmanship are readily visible in the designs of their amazing timepieces. Blancpain’s established history as a pioneer in the creation of self-winding movement women’s watches continues in their pursuit to develop watches sensitive to women’s expectations in luxury timepieces. Blancpain was founded in 1735 by Jehan-Jacues Blancpain and has since become one of the premiere and most respected watch makers in the world. 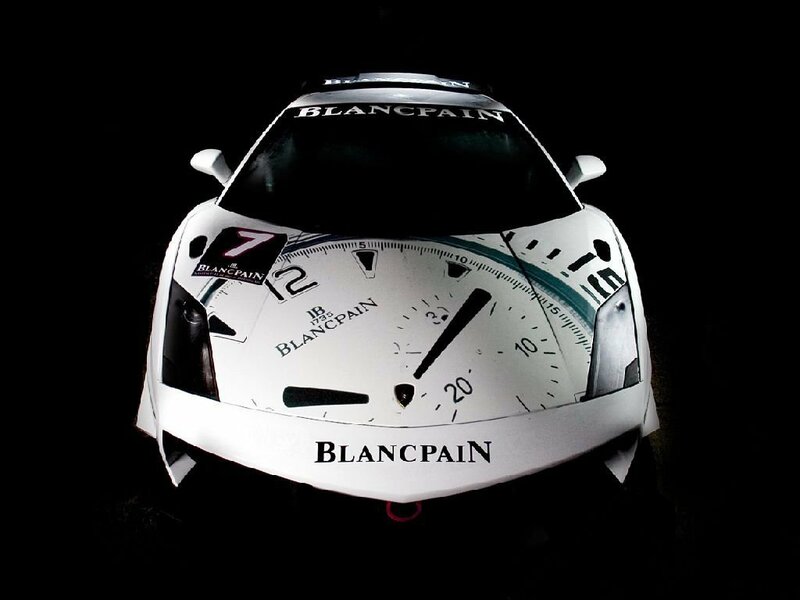 It also has maintained the slogan: “Since 1735, there has never been a quartz Blancpain watch. And there never will be.” The company has evolved throughout the years but continues to make mechanical timepieces for the luxury market. After nearly being extinct from the market when inexpensive quartz watches became hugely popular, the company was reborn in 1983 and has since continued to make elegant and classic mechanical watches the masses can enjoyo and appreciate. The brand has several models and one of these models is the Leman. The name comes from Lake Geneva, which is Leman in French, which is the largest lake in Western Europe. Leman watches try to envoke a sense of adventure and discovery as the name suggests. The model carries various watches for men and women. The watches have a sporty and fun look and come with a solid construction and workmanship. They are ideal watches for those who travel and do a lot of activities. Most Leman timepieces have complications like and alarm and GMT indication that are useful for people on the go. 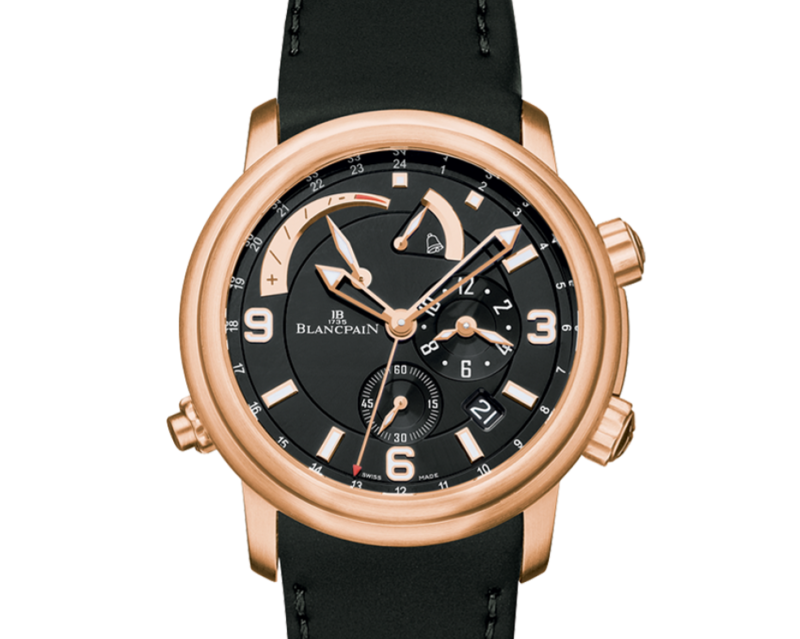 The Blancpain Leman Automatic Men’s Watch model 2841-36B30-64B comes with a newly redesigned dial and strap. This black dial that has applied rose gold index and arabic numeral hour and mminute markers nicely complements the brushed and satin finished rose gold case. This mechanical watch also has large, luminous hands that makes telling time relatively easy. Small seconds sub-dial can also be observed at the 6 o’clock position, while the date window is between the 4 o’clock and 5 o’clock positions. The alarm time is indicated by the sub-dial located at the 3 o’clock position.The alarm indicator is displayed beneath the 12 o’clock position and is controlled by a button located at the 8 o’clock position.The dial further has 24 hours and 2nd time zone displayed by red arrow head hand.